Viewing the Panthers' Cup; Half Empty or Half Full? Viewing the Panthers’ Cup; Half Empty or Half Full? 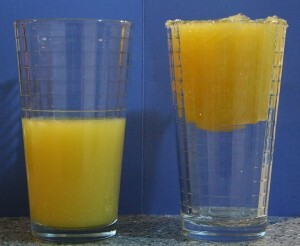 A cup of Florida orange juice; half full or half empty? 7 games to go. 3 point lead in the division. 3 point lead on 9th place. Those are the facts. However, how you look at the Panthers’ chances in the final two weeks is open for debate. Washington is closing hard. Buffalo is charging. Florida has lost 3 straight, but gained points in two of those. Just once in their 10 season stretch of hockey sans playoffs has Florida been relevant in the final week of the season, when they ended the 2008-2009 season tied with Montreal for the final playoff spot but lost out on a tiebreaker. The other 9 seasons, their best finish is 11th in the conference. Despite having over half of their roster turned over last offseason, this looks like a team that is feeling the pressure of not playing in the postseason since 2000. Tight sticks, cutesy passes, trying to make the perfect play; playoff teams don’t care how it goes in, they just put it on net and bang away. Not Florida. Not lately. And yet they are finding ways to add to their point total against supposedly inferior opponents. So, how do you view the Panthers’ proverbial cup? One might say in the Panthers last 3 games, they have struggled against 3 of the worst teams in the league. Florida was able to gain just two points in their last 3 games during one of the most important stretches this team has had in years. Carolina, Edmonton, and the Islanders are playing out the string, yet the Panthers scored just 4 goals in those 3 games, losing twice in a shootout on home ice. One might also point out that the Panthers are still gaining points even when they aren’t playing their best hockey. While Florida suffered defeats to 3 bottom dwellers, they also have recent wins over Boston, Philadelphia, Ottawa, and Buffalo, all playoff caliber teams, and have earned points in 9 of their last 11 games. And luckily for the Cats, this isn’t college football’s BCS system, where style points, margin of victory, or strength of schedule matter. Despite going 6-15 in games that go beyond 60 minutes, all those points add up. It doesn’t matter if it’s a 6-2 win or a 2-1 shootout loss, every point counts. A naysayer would point to Florida’s -19 goal differential. How can this team expect to compete in playoff style hockey if they’re playing so negatively during the season? Only the Islanders, Wild, and Blue Jackets have scored fewer than the Panthers’ 184 goals this season. While Washington and Buffalo are slowly gaining ground, Florida’s only scored 8 times in the past 5 games, all the signs of a team wilting under pressure. But an advocate for the Panthers’ chances would point out the other end of the ice; the defensive zone. Since March 9th, no team in the NHL has allowed fewer goals than the Panthers, who average just a goal and a half against per game during that span. Only twice in the past 12 games has a team scored more than twice against Florida’s defense. And with offensively challenged teams like Montreal, Minnesota, and Columbus coming up, surely the points have to continue to add up. For those who are hoping Florida fails to make the post season, they can bring up the schedule. The Panthers play 5 of their final 7 games on the road, where they are just 16-15-5. But fans looking to end the drought can use that same schedule and point to the records of the teams they have left to play. Montreal, Minnesota, and Columbus hold 3 of the 5 lowest winning percentages in the league. The pessimist would point out that the other 2 teams in the bottom 5 are the Oilers and Islanders, the two teams who Florida just lost shoot outs to at home. Optimists could point out Florida’s game in hand against Washington, Buffalo and also 7th place Ottawa, who Florida still holds a 1 point lead over should the Capitals catch them and knock them out of the top 3. So whichever argument you want to make, you have numbers to back it up. Regardless, it’s going to be a new experience for Panther fans, who will be put through a nerve wracking, nail biting, scoreboard watching final two weeks as their team tries to claim its first division title in franchise history. 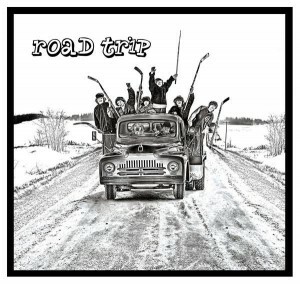 Florida starts their four game road trip on Tuesday in Montreal. At the same time, the Sabres and Capitals will be facing off against each other in a game Panther fans will have an eye on, praying for a regulation ending. Isn’t this fun?